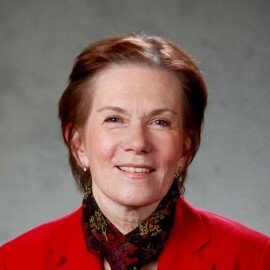 Prior to assuming her roles in Colorado state government, Dr. Lynne served as the executive vice president of Kaiser Foundation Health Plan Inc. and Kaiser Foundation Hospitals, and as group president responsible for its Colorado, Pacific Northwest and Hawaii regions – overseeing an $8 billion budget, 1.4 million members and 16,000 employees. From 1998 to April 2005, Dr. Lynne was the executive vice president and chief operating officer for Group Health Inc., a $2.5 billion managed care organization. In the mid-1990s, she was the executive director of the New York Business Group on Health. Dr. Lynne also spent 20 years working in various positions in New York City government, including first deputy commissioner, Office of Labor Relations; director, Mayor’s Office of Operations; and senior vice president, New York City Health and Hospitals Corp. In addition to her role as an International Executive Fellow with the International Federation of Health Plans, Dr. Lynne is the recipient of numerous honors and accolades, including the Denver Business Journal’s 2008 Outstanding Women in Business award; the 2009 Distinguished Coloradan Award from the University of Colorado Denver School of Pharmacy; the President’s Award from Women in Health Management; and the Health Care Leadership Award from the New York Business Group on Health. She formerly served on the boards of the Denver Metro Chamber. Colorado Education Initiative, Colorado Mountain Club, Colorado Regional Health Information Organization, Denver Museum of Nature and Science, Denver Public Schools Foundation, Teach for America-Colorado, U.S. Bank Colorado Advisory Board, and is the former chair of the Denver Metro Chamber of Commerce. Dr. Lynne was a co-chair for the Denver Education Compact Executive Advisory Board for Mayor Michael B. Hancock. In 2010, she was one of 16 statewide transition co-chairs and the Personnel and Administration Committee co-chair for Governor John Hickenlooper. She holds a Bachelor of Arts (Economics and Political Science), a Masters of Public Administration, and Doctor of Public Health from Columbia University. She also holds the designation of Certified Employee Benefits Specialist from the International Foundation of Employee Benefit Plans/University of Pennsylvania Wharton School. In 2014, Dr. Lynne received an honorary doctorate of public service from the University of Denver. Since 2005, she has been an adjunct associate professor of Public Health at Columbia University. Dr. Lynne resides in Denver and has three children and two step-children. She enjoys skiing, mountaineering, cycling and reading. She has climbed all 58 of Colorado’s Fourteeners.